If you are having issues with Malwarebytes Anti Malware, this guide is for you. Whether or not you can not uninstall the old version, or your current version is not working. There may be old files and registry entries, that are not allowing the current version work correctly, or uninstall / install. First thing that you will want to do is install the everything search engine, then install unlocker. 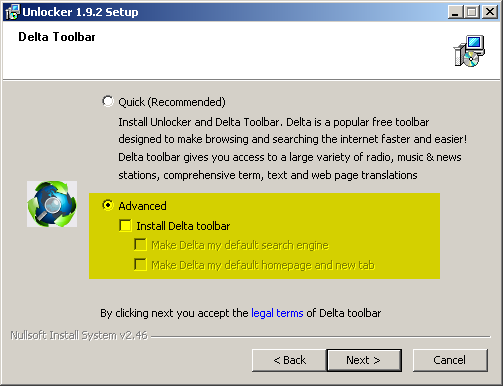 Careful when you install Unlocker, it offers a toolbar during installation. 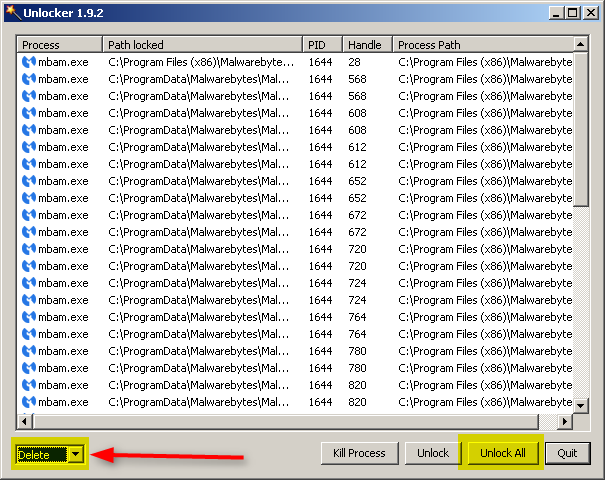 Next: Using everything search engine, in conjunction with unlocker to remove Malwarebytes Antimalware file remnants. Open the Everything Search Engine and Type Malwarebytes into the search window. You may see a prompt to reboot, if so then please reboot, to continue removing the files. Install Registrar Registry Manager, to remove Malwarebytes Antimalware from the registry. Download from here, and install the program. Then Type Malwarebytes into the search window. Delete all registry items, found by the tool. Reboot the computer, to complete the removal process. Installing a fresh copy of Malwarebytes Anti malware. After the last reboot, you should be able to now install Malwarebytes Anti Malware, without issue. Nice guide for what is becoming a not uncommon problem.